The Mountain Storm Martial Arts Invitational took place on December 6, 2014 at Saint Aloysius Catholic School in Yoder, Indiana. The USJA sanctioned tournament was officiated by Randy Pierce and Derick Wellman. Demonn Smith was the lone representative for Team White Dragon. Smith was coming off of a brief hiatus from competition. Smith competed in the senior division. He showed signs of mat rust but quickly adapted to take home a silver medal. 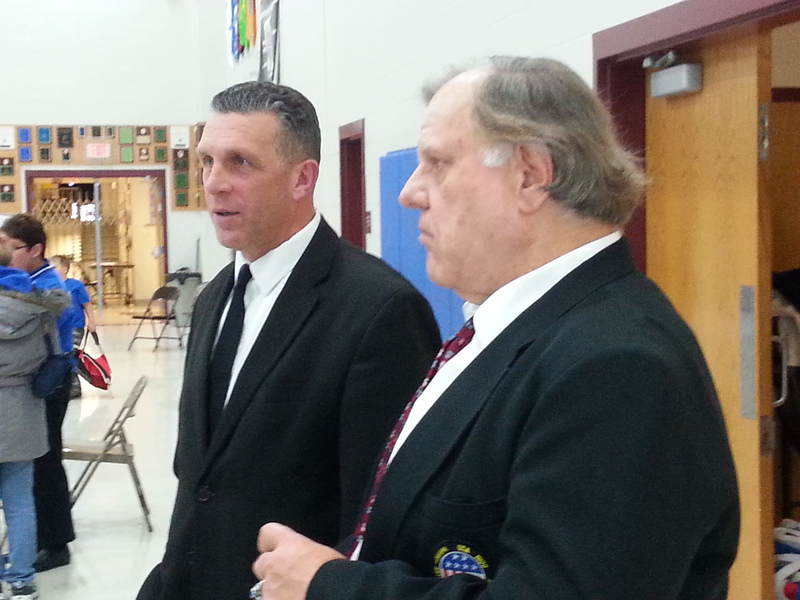 The 2014 Red, White, and Blue Judo Tournament took place on Saturday, November 15, 2014 at Saint Paul Parish School in Marion, Indiana. 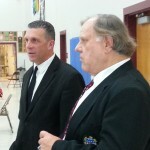 The tournament was officiated by Derick Wellman and Randy Pierce. 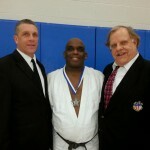 Sensei Pierce is a national referee and Sensei Wellman is a regional judo referee. 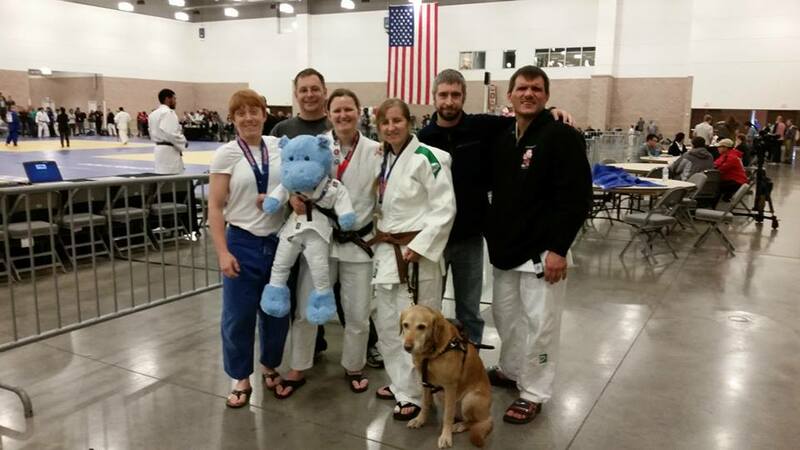 Throughout the year they travel the Midwest region assisting in the officiating of regional judo tournaments. You probably have seen them at judo tournaments such as the Gateway Invitational, America’s Cup and the North/South judo tournament. Shichidan Randy Pierce has been in judo for over 50 years. He has coordinated numerous referee, coaches and competition clinics. 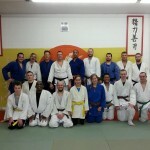 Sensei Derick Wellman is the owner of White Dragon Judo Club. He has been a regional referee for more than 10 years. 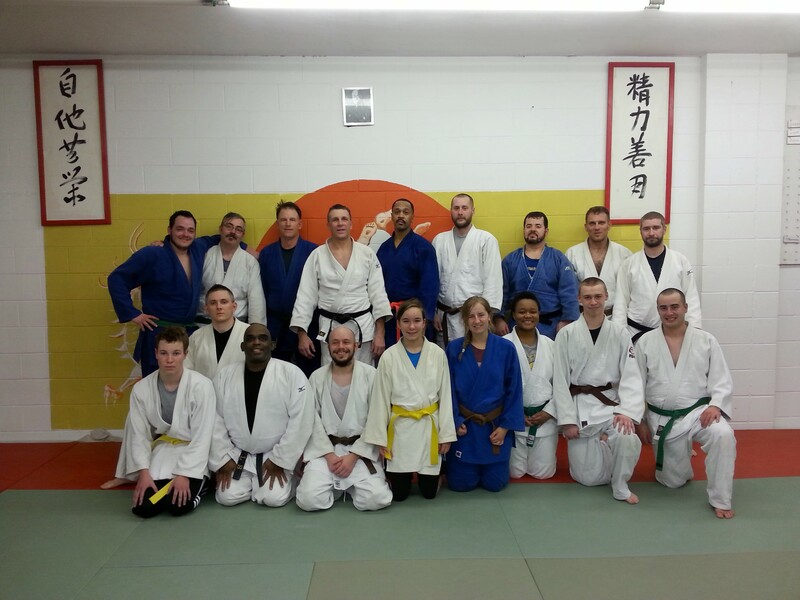 Sensei Wellman runs the local referee program at White Dragon Judo Club. The need for more judo referees is significant these days. Many judo tournaments encounter this problem in the coming months of the event. Judokas who are no longer competing or don’t compete much should try their hand at officiating. Officiating judo will help the judoka understand the current rules of Olympic Judo. Understanding the rules will indirectly help with your techniques and give you a better understanding of the martial art. If you are interested in officiating judo tournaments don’t hesitate to contact Derick Wellman or Randy Pierce. There are numerous referee clinics conducted throughout the year across the country. So get involved and we will see you on the mat. 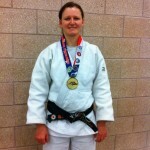 The three judo tournament weekend got underway at the Irving Convention Center in Irving, Texas. The “D” Level tournaments of the 49th Annual Dallas Judo Invitational, President’s Cup and The National Military and Police Forces Judo Tournament took place on November 22-23, 2014. Andrew Lazarz took on the tough task of coaching Team White Dragon. The judo team had their work cut out for them as this was one the most competitive tournaments of the judo season. The competition was fierce and talented leaving little margin for error for Team White Dragon. 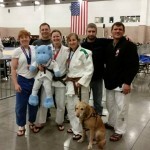 In the Dallas Judo Invitational, Marissa Ardnt placed second in the female visually impaired category. Adnan Gutic followed up with his third consecutive Dallas gold in the visually impaired division. Anna Feygina had a tough day in this tournament and did not place. In the master’s division, Eugene Hamilton was very crafty and clever in a talented weight class. Hamilton was patient and executed good technique on his way to being awarded a silver medal. 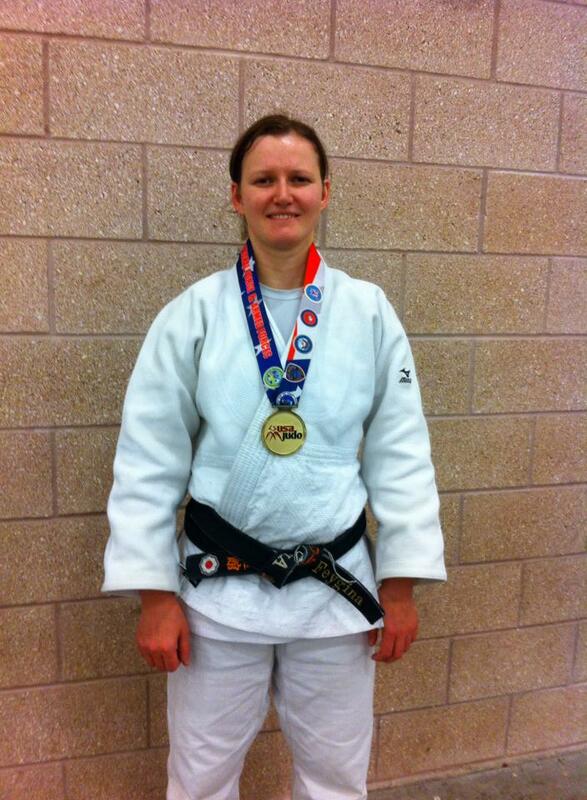 In the President’s Cup, Marissa Ardnt collected her second silver of the weekend with a superb performance. Adnan Gutic battled hard in a deep weight pool. Gutic just missed the medal podium taking 5th place. Amber Jones won the bronze with a poised and determined showing. In the Armed Forces Championships, Anna Feygina got her second consecutive gold in her brief yet successful military career. The Army first lieutenant highlighted the championships with a beautiful harai goshi in the championship match. There is Monday Night Football and at White Dragon Judo Club there is Monday Night Judo. This Monday night was a special night. More than 20 judokas were on that mat to learn some practical judo techniques. This Monday’s class was ran by Eugene Hamilton. Hamilton showed some basic newaza techniques that would help even a beginner in the martial art. The class was also highlighted by Glen Trotter’s demonstration of sumi gaeshi. The judo club also witness the promotion of Lilly Coln to yellow belt. Lilly has been practicing judo for about 5 months now. Attending practice with her big brother Sam, judo did not come easy for the young judoka. Throughout these 5 months Lilly Coln has learned the true meaning of discipline and hard work. Although she has a long way to go, the young judoka is poised and ready for the journey. Hey are you ready for the journey? The classes are growing each week yet there is plenty of room. Your first class is free and you are guaranteed a good workout. So come on out and we’ll see you on the mat. 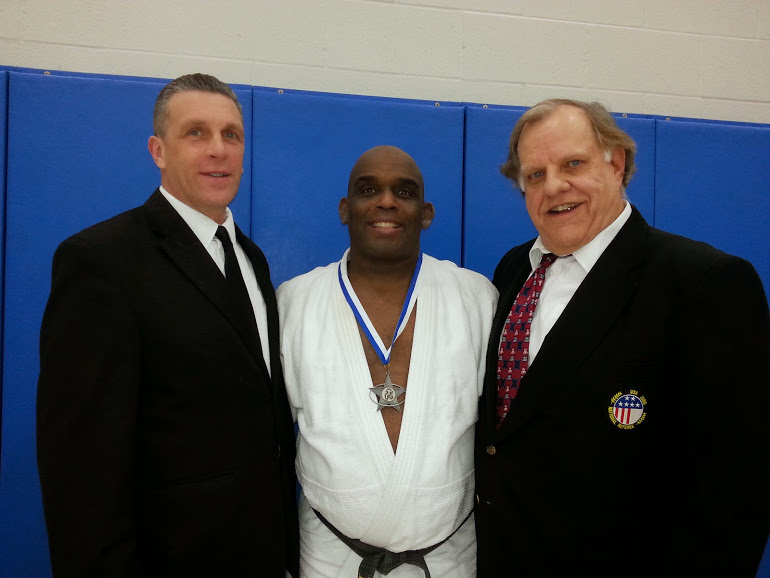 The annual 2014 Irwin Cohen Memorial Judo Tournament got underway at Stevenson High School in Lincolnshire, Illinois on November 9, 2014. Over 280 contestants participated in this tournament. Andrew Lazarz coached a skilled veteran team ready for success. Anna Feygina fought up in weight class at 63kg. Feygina enter a huge young talent pool. She fought hard but lost a heartbreaker in her first match. Feygina rallied in her remaining matches but was unable to get to the medal round. Current national champion Adnan Gutic was in typical gold medal form when he competed in the 81kg category. The White Dragon judo standout was a stubborn adversary as all of his match went the full time limit. Gutic pulled out some hard fought victories but he also failed to make the medal round. Amber Jones fought at 57kg and showed tremendous game but did not medal in this tournament. Eugene Hamilton collected his third medal of the year with a 3rd place finish in the Master’s division.